Recapping NaBloPoMo and Introducing 7 in 7! 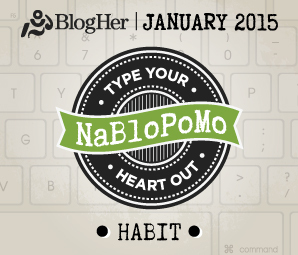 January ends today, and with it, my second solid attempt at NaBloPoMo. November 2014 went very well. This month felt kind of blah but was a huge boost nonetheless. I am still a big fan of link-ups and memes to draw in new visitors and give me ideas. I really liked this month’s NaBloPoMo prompts. Habits are a huge part of who I am, so I enjoyed the opportunity to stretch and focus a little bit. My traffic is still on an incredible upswing. My total page views are up 25% from November after a small drop in December. I reached nearly 11,000 views for the year, and I did more than double my average views per day from 2013 to 2014. Yet the goal of posting every single day eludes me. I think it always will, honestly. I have explained/not explained past seasons of scant posting by noting that I have to be out living my life to have anything to blog about. Sometimes I just don’t want to blog, and sometimes blogging is not a priority. I’m still not making any apologies for that. I think it was my nomination for the Sheenazing Awards that made me realize (a) how far I’ve come as a blogger in the last year and (b) how much I want my other blogging friends to enjoy the same success. As I commented on Kendra’s Sheenazing post, since I regularly read so many blogs in the “Under-appeciated” category, we must have just been hanging out with each other this whole time! 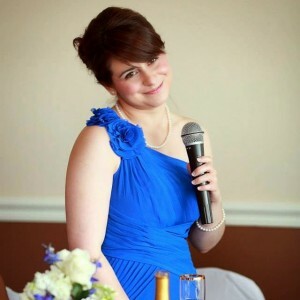 In that vein, I would like to introduce you to the charming Christina of Waltzing in Beauty. Christina and I met (first by email and then in person) in the wedding of a mutual friend. Her kindness cannot be overstated. I have a mini superpower of being able to tell when I’ve found someone I just “click” with. I got that feeling with Christina. Fun fact: She is engaged to be married to her ballroom dancing partner (which is also how she met our mutual friend, I think)! Christina blogs about beauty, joy, and seeing the brighter side of life. I love reading Christina’s writing. I can only imagine that planning for a wedding and then being married will probably change her posting pattern, but I wanted to take the opportunity to expose her to my audience (which isn’t very big!) and encourage both us to post more. 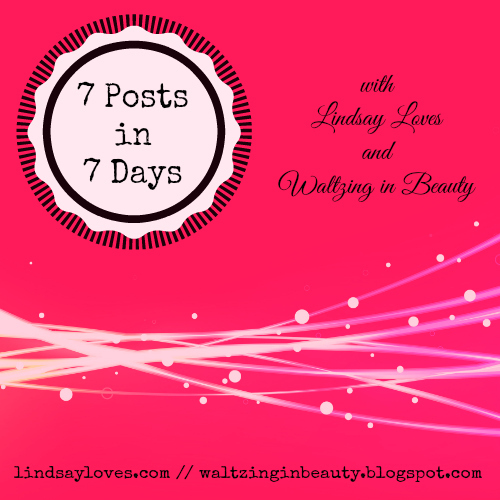 When Jen Fulwiler hosted 7 Posts in 7 Days, I was on a big swing of not blogging, so I missed out. But no more! 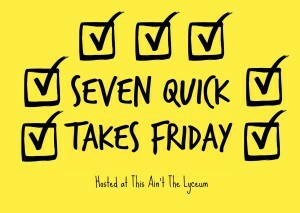 Christina and I have pledged to write 7 posts in the next 7 days. That is ideally once per day, but you’ve seen how well I do with that. “7 in 7” leaves some wiggle room for those days that are so ridiculous I wonder whether I am secretly being filmed, like in The Truman Show. So go check out Christina’s blog, subscribe here and there if you haven’t already, and brace yourself for the awesomeness! This was a quiet week but nonetheless a good one. Our kitchen light fixture started to die unexpectedly a week and a half ago, so we’ve been cooking with ambient light from the dining room, eat-in area, and oven hood. There is nothing quite like dicing onions in the dark, let me tell you. Living on the wild side! Our landlord sent an electrician to install a whole new fixture on Wednesday. It’s very pretty, but I’m still getting used to the brightness. I had to replace the bulb in my bedroom last week, too, so I am literally walking in a whole new light. I went with some married friends to the Texas Rally for Life on Saturday. It was good, in the sense that I wish it was unnecessary but I’m committed until that happens. Pro-life marches and rallies are the only political activism I ever do. It took a solid year for me to work up the courage to at least try it, and that was back in DC, where the March for Life requires taking public transportation, is held on January 22 (frequently a weekday), and promises cold and wet weather. Yet I march. I thought this year’s speakers were much better than last year’s. I missed having Governor Abbott there, but I had no idea his daughter was adopted or that his wife has credentials for days. Abby Johnson always does a great job speaking, not in the least due to her incredible witness. It is literally incredible: her stories are terrible, but they are both true and factual. Bishop Joe gave the invocation, as he did last year. He once again managed to offer a prayer that nailed the tricky middle ground between being overtly Catholic, firmly Christian, or vaguely God-directed. I’ve tried that myself; it’s hard. I also really enjoyed the closing prayer offered by a Baptist minister. I found myself really getting into it, which is unusual. Charismatic prayer is not usually my thing, but I’ve had bigger surprises. I decided not to make or carry a sign. I am my sign. Even if you don’t speak to me at all, you can see that I’m young and black (or at least brown). That’s the only sign I need. I march for black women who are pro-life but fear speaking up about it. I march for young women who feel like they would betray second-wave feminism if they didn’t at least tacitly support “choice.” I march for people who can’t, who won’t, or who don’t yet. And I intend to keep marching until I can’t or don’t have to. One thing in particular did concern me about the Rally for Life, though. It wasn’t just that it’s effectively just the Christian Rally for Babies & Moms. That’s an issue for another day. It was the counter-protesters. In the years I went to the March for Life in DC, it became almost a game to try to spot the counter-protesters and confirm that theirs would be the only photos to show up in the news. Every year, there were maybe 100 pro-choice protesters. I only knew that because they were inevitably photographed by the Washington Post at an angle that made their group look much larger. I never actually saw them in person, though. I was buried in the throng of literal thousands of pro-life people filling up South Capitol Street. Here, last weekend, I gave my usual response to our pro-choice counter-protesters: I ignored them. It’s not hard to ignore a few dozen people. What really left me confused was the small counter-protest rally my friends and I passed on the north side of the Capitol building as we headed home. Don’t get me wrong: they have absolutely as much right to hold a permitted protest rally as pro-life marchers do. The problem is that I didn’t know they would be there. Granted, gathering 100 people and a sound system to match doesn’t take much. We used to do that for Ash Wednesday on campus every year at my old job. But I did some research when I got home, and I still have no idea who was in charge. Did the Texas Alliance for Life know about it? Is this going to become an annual thing until we’re battling for audio space? If they were trying to leave me unsettled, that worked, honestly. But I’ll be back next year. Last Friday, I went to dinner with some friends. It was the birthday of my former roommate’s husband. (He’s my friend, too.) I’ve missed small group dinners since our young adult group disbanded, and I don’t get to see the birthday boy and wife much, so I gratefully accepted the invitation. The weird part came when I realized who else would be attending. My former roommate, her husband, and six of the other attendees comprise couples married in the last 19 months. My (male) friend Sam and I were literally the only unmarried people among the ten of us. Somehow, we manage to split up men and women when we gather in Catholic groups (which is not conducive to getting the single people married), so I wound up having dinner with four recently-married women. Naturally, the conversation turned to my love life. I’m not opposed to my friends keeping me on their lists, but I still felt awkward being singled out like that. (Pardon the pun.) It was as though the group suddenly took on the mission to Get Lindsay Married. I don’t usually get that kind of pressure, not even from well-intentioned friends. It was not pleasant. Of course I want to get married, but talking about it openly and often is a recent development. Am I alone in this? All these restive feelings have been balanced out by Fr. Mike Schmitz’s homilies. Seriously, they’re fantastic, and you should listen. I get sad thinking about how I’m eventually going to catch up and then have to wait a week between homilies, like a caveman. 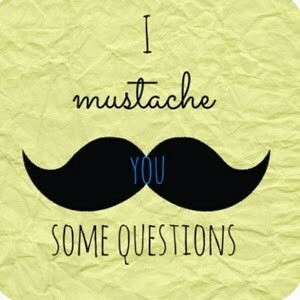 Until then, I am tweeting quotations as I go. I majored in economics in college because I like it and I’m good at it. I took an economics class in high school and found that my mind clicked into the subject in a way that it did not click into others. Majoring in it seemed to me like the next logical step. When I announced my decision, however, my peers and mentors encouraged and applauded me with an urgency that confused me. “Only 15 percent of economists are female,” they exclaimed. Don’t get me wrong, I was grateful for the encouragement. I was happy that my success in economics was regarded as a necessity by my professors, advisers, counselors, and friends. But it was their collective reasoning that disturbed me. My interest and ability did not necessitate my success, according to them—my gender did. They seemed to think that because roughly half of the world’s people are women, so too roughly half of the world’s economists ought to be women. The ratio of women to men in the field is lopsided and thus, unacceptable. It only gets better from there. Her reasoning is on point, and I agree with it wholeheartedly. Check it out at Verily, and subscribe to their daily emails while you’re there. It’s one of the best items in my inbox. In a nutshell, this means that I am now one month ahead on all my monthly expenses, including savings. I feel excited, a bit dumbfounded, and joyful. More soon. In the meantime, visit YouNeedABudget.com (referral/discount link) and start your journey to freedom. 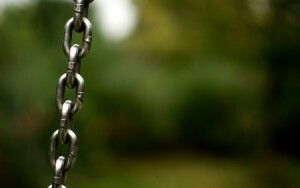 Do you feel chained or released by your habits? I’m a Christian. The theology of freedom and slavery is never far from my mind. As a Catholic in particular, I face criticism for believing and living as I do. I intentionally surround myself with friends who are living the same way, but you can’t control every presence in your life. There are people who meet me now and have no idea where I came from, and there are people who’ve known me all along and can’t quite grasp the change. Why would I voluntarily choose a life full of restrictions and rules? Why would I actually follow those rules? How do they see chains where I see liberation? In their defense, I can understand how it seems so strange that I find my habits freeing. When I think back to my past life (or read about it in my old blog posts), I remember the way I used to think and act. Even thinking back to just a few years ago gives me examples of changed habits and new-found freedom. Before I made a habit of modest dress, I wore some clothes I’m not proud of. I remember feeling like I had no other choice, because that was what was in the stores, and everyone else dressed the same way—or worse. I got attention for my immodesty. I liked the attention, but I wished I didn’t have to get the looks with it. So I started listening to that little voice and decided I wanted to dress differently. Modesty set me free to be who I wanted to be. Before I made a habit of modest style, I was covered-up but boring. I still dressed basically the same way I did in high school, except that I dressed up for church on Sundays and didn’t wear jeans to work. 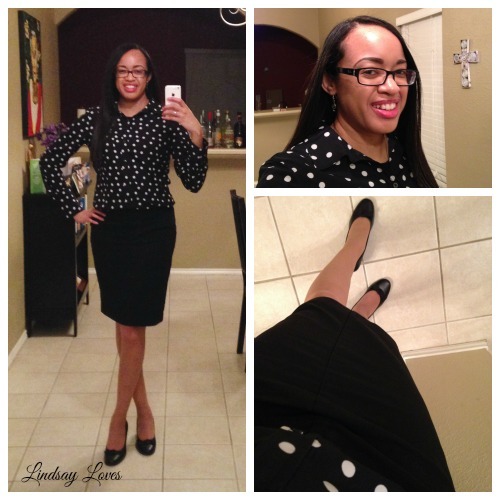 Modest, stylish role models like Audrey at Putting Me Together and Chandra at More Modern Modesty set me free to dress as fashionably and tastefully. That’s what I wanted. Before I made a habit of chaste love, I did some things I’m not proud of. 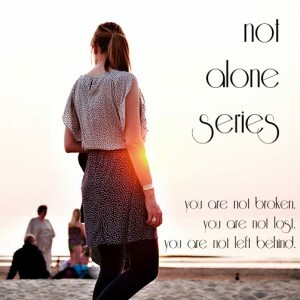 Fear not: I’ve repented, confessed, received absolution, and moved on. My heart has healed, and I have been made new. Intentionally building chaste relationships with all the people in my life requires much more effort than anything I had tried before. I have to learn how to genuinely love them, to do what is best for them. I feel more loved now, and I think I show more love now. Isn’t being a Christian all about love, anyway? Learning to love purely and authentically set me free to love like Christ. My faith lends itself to habits. One of my favorite things about Catholic worship is that we do basically the same thing every time. I don’t have to think about the details, so I can immerse myself in the experience and fully open myself to God and my community. Similarly, I don’t have to pit culture versus conscience every time I walk into a store. If I don’t like any of the clothes I see, I don’t buy them. I don’t have to decide whether each person I meet is worthy of love. They all are. Every single one. I am a creature of habit, I am a Christian, and I have been set free. Do you support the selfie trend? Do you think it promotes self-absorption, vanity and narcissism? Is there a way to incorporate selfies into the Church’s teachings of modesty, authentic beauty, humility? Thanks to Hannah for the prompt! I was super surprised by this topic. I haven’t thought deeply about selfies before. I hope we can all agree that #SelfiesAtAFuneral is awful (and I’m sorry if I just introduced you to that), and taking a selfie in the ruins of Chernobyl or Auschwitz is horrifying, but I don’t have a problem with selfies in general. There’s an element to selfies that can definitely be narcissistic. When you’re editing your life to show only the best parts, trying to make other people jealous, or ruthlessly editing every image of yourself so that it barely resembles the real you, then you might have a problem with selfies. But there’s so much joy to be found in selfies! In a way, it’s a modern take on the classic “self portrait of the artist.” We don’t call Van Gogh and Rockwell narcissists for painting themselves. In fact, their famous self-portraits are crucial to understanding how each artist saw the world, and by extension, himself. Rockwell even included Van Gogh in his! I have already made known my position on actual selfies of myself. I take selfies every week for What I Wore Sunday, which is my way of sharing that you can be trendy, polished, and modest at the same time. You should put some thought into what you wear to see your Savior, and you don’t need to have a huge wardrobe to do it. In a way, my selfies evangelize. I hope that when people see my face, perceiving a modestly-dressed churchgoing black Catholic, they see the truth, beauty, and goodness of Christ in me. Even if only one of those four characteristics makes it through to the viewer, I’ve helped make the world a little better. My selfies proclaim to the world that you can dress modestly and fashionably at the same time. You can be a weekly churchgoer. You can be a black Catholic. This is real, and it’s my life. When I post a selfie of a great hair day to Instagram, I’m not just telling you to look at me. I’m telling you to look at creation and see the Creator. I used to do all kinds of quizzes when I was in high school. There are still some buried in the depths of my blog, but I only ever really think about them when I sign into my old Yahoo! Notes account or they pop up as broken links. The lovely Beth Anne tagged me, though, so I’m back in a quizzing sort of mood. In Chicago celebrating my best friend’s birthday! All tags are optional, of course. That was fun! I haven’t thought about the Czech Republic in a long time. And I can never narrow down which books to recommend, so I went with the first four that popped into my head. Asking me to pick a favorite book is like asking a parent to pick a favorite child. It’s been several weeks since I last posted an installment to this series, but I am not a quitter! 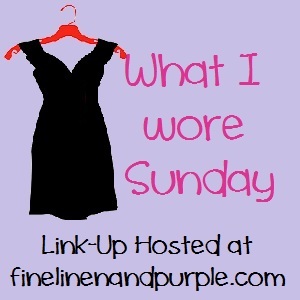 I’ve had much more success blogging on weekdays lately, curiously enough, and I fell into a rhythm of posting for this series on Saturdays, so it got pushed aside. No more! I’ve hosted some great discussions in the comments section for the last few installments. If you’re reading, please share your thoughts! Feel free to disagree. I will delete your comments if they’re mean or otherwise violate the comment policy, but we can disagree without fighting. I don’t have enough experience or statistical knowledge to estimate a proportion, but I can tell you for sure that it’s rising. It’s much more common for children to grow up in family situations other than a mother and father who were married to each other before they conceived their first child. The witness of celebrities and the media to this situation does not help. Those comments doesn’t even cover the children living with divorced-and-remarried parents. I don’t think we’ll fully understand the fallout of that irregular family structure until the church can’t fit four sets of grandparents per child for the Christmas pageant. Honestly, I think there are some parents who stay away from the Church because they don’t want to face the obstacles standing between their choices and their full participation in the sacraments. They can’t receive the Eucharist, and they don’t want to go to confession (or they’re not penitent), so they don’t go to Mass, either. But I absolutely think they want more for their children than they want for themselves. All parents want their children to have a better life than they did. The problem is that they don’t want to do anything churchy to get churchy things for their kids. These parents insist on getting their kids involved, preferably at the bare minimum. The parents don’t want to take their kids to Mass because they’d have stay for it, too (and not receive the Eucharist, perhaps starting a conversation they’d prefer to avoid), but they’ll drop them off at CCD. They’ll grumble about going to a baptism prep class, but they’ll go because it’s the only way to get the cute baptism photos and get Grandma off their backs. They don’t want to be taught, and if they’re forced into it, it doesn’t stick. Church is completely about rules and requirements to get stuff. If they’re in an irregular marriage, they’ve already broken the rules. The fewer requirements they get stuck meeting before they can get the stuff for their kids, the better. Sacramental preparation for kids is often the only opportunity to catechize parents. In recent years, parishes are taking great advantage of that opportunity. I’ve taught baptism prep for godparents-to-be (and prepared myself to be a godparent in the process). That can be a huge moment of conversion from a lackluster faith. On the other hand, I substituted once for my own parents (whose marriage was always regular) at the mandatory parent Bible study held simultaneously with the my sister’s Confirmation prep class. I loved it, but I don’t think I’d ever heard my parents mention it before. Getting that two-fer of adult catechesis plus children’s sacrament prep benefits the parish, but it’s not converting the parents. I can imagine that conversion of heart is even less likely for parents who are in irregular marriages and thus excluded from the sacraments. They already don’t go to Mass. They’re definitely not doing anything else. What is the sacramental practice in these cases: preparation, administration of the sacrament, and the accompaniment? As a church worker, I was trained to strongly encourage parents in irregular situations to regularize them before having a child baptized. If they’ve been civilly married for several years with no other impediments to matrimony, their convalidation can be relatively straightforward. It’s not required, though, and that’s what is best for the child. You shouldn’t have to suffer sacramentally because your parents made poor choices with their sacraments. For First Communion and Confirmation, though, I don’t think the parents’ marriage or faith involvement status comes much into question. At baptism, the parents promise to raise their children to know Christ Jesus and his Church. Even if they are simply forcing reluctant, non-churchgoing kids to prepare for their other sacraments of initiation, they’re doing more than nothing. It’s a tiny bit of Christian education. Thus, most parents’ marital status doesn’t preclude their children from receiving the sacraments. That’s the way it should be. The tricky part comes when teachers try to educate children in the faith. It is so difficult to teach children the truth when they don’t have any examples to follow. Why should they pray before meals when the family doesn’t? What’s the point of going to Confession when older, Confirmed siblings don’t? How can they believe marriage is between one man and one woman for life when a stepmom is the only mom they’ve ever known, when Mom and her second husband are so happy, or when they have two dads? Pope Francis himself recounted speaking to a young girl who was in tears, thinking her mother’s girlfriend didn’t like her. Where do you even begin with that? Walking with—accompanying—these parents and children takes a lot of patience and a lot of prayer. Teachers and ministers have the responsibility to preach the truth in love. Parents in irregular situations have turned away from the truth, but there’s always hope that they could return. More than one parent has made things right (or even entered the Church completely) based on the example of a child. The witness of childlike faith from an actual child can do that. On the other hand, too many kids fight their way through to sacraments or get pushed through them without believing a single word. As in my case, grace can spring forth anyway. For many others, the sacrament will be administered upon an empty shell. Well, that was depressing. No wonder there’s such a big push to get marriage and family in better shape! What do you think? 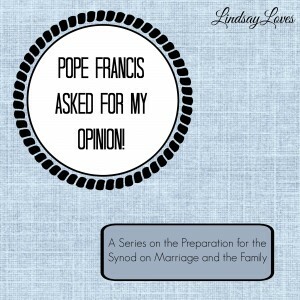 How do couples you know balance their irregular situation with the faith formation of their children? Can you think of anything the Church can do to benefit parents and children, so that everyone wins? Share your thoughts in the comments! This is how you make all-black fabulous. I’m on the fence about this skirt. I’ve had it for ages, but it’s a tight fit these days. I forgot to catch the tuxedo stripes in the photos. They’re there; trust me. That is my favorite feature, actually. The problem is that I don’t get to wear it much. Beyond the fit, the tuxedo stripes and heavy fabric make this a fancy winter skirt. Austin has summer about nine months a year; thus, I jumped on the opportunity to wear this in today’s mild “winter” weather. However, I have never thought about pairing it with this blouse. The combo jumped out at me. I even liked it without any pops of color. I could wear this to a funeral, but Mass is as much a mini Good Friday as it is a mini Easter, so that’s vaguely appropriate. Right? So this skirt goes in the “maybe” pile. We had Fr. Associate Pastor tonight, as usual. He ended his homily with a joke, for a change of pace, I suppose. It was about a pastor (no mention of which denomination) paying a little boy to keep his grandfather awake during the “sermon” (his word) but the grandfather paying the little boy more to let him sleep. I laughed. Then the homily ended immediately. What was that supposed to teach me about learning to follow God’s call? The rest of the homily was solid, though. Fr. Associate Pastor spoke about Jonah’s call from God and the apostles’ from Jesus. He said that you can reject an opportunity, but “you cannot escape an obligation.” I lost focus and couldn’t connect that with everything else he was saying, and then he told that joke. Clearly I need to work on paying more attention in Mass, and Fr. Associate Pastor might try working some actual theology into his homily jokes, because those are the only parts I can remember! Anyone wanna bet that next week’s homily will somehow involve the Super Bowl?